Last December, Leeann McCallum surprised some of her colleagues at Beca when she showed up at the company Christmas party as the ‘balloon twister’. McCallum, group IT infrastructure manager at the engineering consultancy, donned her apron with pockets bulging with balloons. 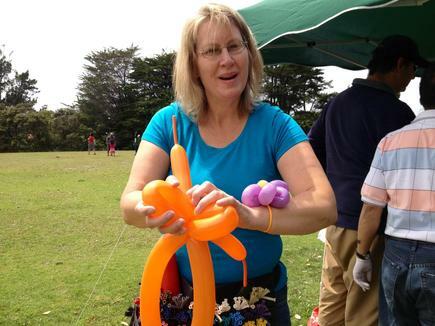 She inflated the balloons with a small pump, and transformed these into different shapes. McCallum became a balloon twister four years ago when she was looking for a hobby that she can share with her twin children, a boy and a girl, then aged five. One day she strode to a $2 dollar shop to buy some presents for a child’s party. She espied a pack of 20 balloons and bought it. “I went through that pack in a day, then bought another one,” she says. 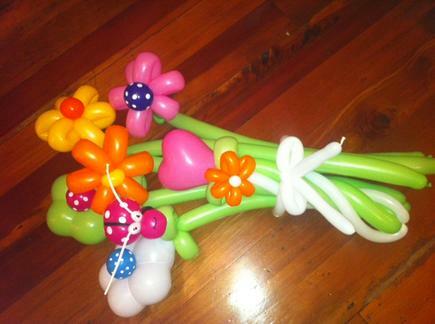 That weekend, she ordered “proper balloons” from TradeMe and became engrossed in her new hobby, with her children and husband joining in. She enjoyed it so much that sometimes she would sneak into her car on lunch breaks “to make a few things”. Some people call it ‘balloon sculpting’, says McCallum of the process, wherein she fashions several small balloons into a range of interesting shapes. The weekend activity became more than a hobby, to a point where she stored balloons in the family fridge. “The fridge is the best place, because the latex likes cool areas,” says McCallum, who now keeps the balloons in an extra fridge.